Lecrae Moore moved around a lot as a child. He was constantly the new kid in school. It’s often a struggle to fit in when you always have to make new friends but Lecrae had a gift. He could rap. Street battles were no problem. Breaking into some freestyle for his classmates was a piece of cake. But walking a straight line was difficult. Moore had a tough childhood. He grew up without a father. His male role models were rap artists like Tupac. But Moore’s world view changed when he went to college at North Texas. He met some Christians who helped pull the underlying faith out of him. It seemed to have always been there but he grew up straddling the line between God and the enemy, he said. Before he went to college Moore said he was the drug dealer with a good-luck charm, a Bible his devout grandmother gave him. He knew he could turn to it if he got in trouble. Trouble came one night when he was about to be arrested for drug possession. He sat in the back of the squad car, handcuffed, distraught and lost, preparing to go to jail, when the officer asked him about the Bible in Lecrae’s car. The officer wondered, what is that doing on your backseat? “I told him I know I need to live it,” Moore said. According to Moore, the officer said if Moore would agree to do that, he would let him go. The turnaround wasn’t a complete 180, and it took more people to convince Moore to dig into the Christian life, including those Christians on his college campus. Afterward, some of them would hang around and would rap about Jesus. The street battler in him came out, and a Christian hip-hop artist was born. I asked him: Is he a rapper who preaches or a preacher who raps? An easy smile came across his face and his introspective eyes pondered for a second. “I think every rapper is a preacher, it’s what’s the sermon that they are giving,” he said. “Every rapper is preaching something. They are either preaching that you can find satisfaction in a million dollars or 50 women, or that you are not a real man unless you are a killer." Moore’s latest CD is “Rehab,” which hit No. 1 on the Billboard Christian albums chart and the Gospel albums list, sold more than 26,000 copies its first week. It also hit No. 5 on the rap albums chart. 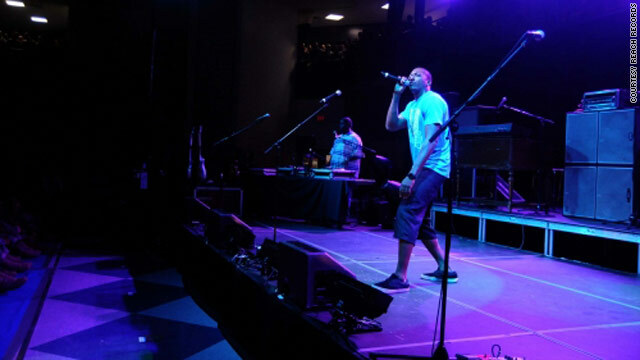 It is a product of Reach Records, which he co-owns in Atlanta, Georgia. 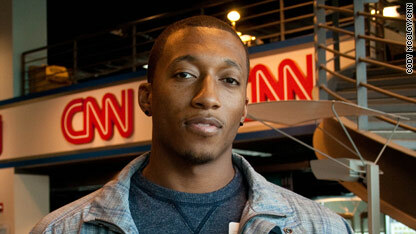 The label has four other Christian rappers, some of whom Lecrae thinks will be even more influential than he has been. Moore also founded ReachLife Ministries, which seeks to "bridge the gap between biblical truth and the urban context," he said. Rehab is a statement, a message to all that while there is much wrong in this world, there is a way to reshape your life, he said. We all need a sense of purpose, but we're all a bit messed up. Moore is currently back out on the road on the "Unashamed" tour. Remarkable issues here. I am very glad to see your article. Thank you a lot and I am having a look ahead to contact you. Will you please drop me a e-mail? I have so much respect for this guy. I've been a fan for years. I love how he can glorify Christ in his music and has quickly become on of the more popular Christian artists around today and still does not let it get to his head but pays all the glory forward to Christ. rap, heaven, rap holiness, rap christ the godheadson, rap my frend tell us the oracles of God through rap one day we will DIE and we will have no time to listen to this holi music, lacrae we mean the world to jesus. it makes more sense to most, the fact remains is that you tell the world what God has told you to tell them, if they get it well and good if they bring theis propanganda then, its them and God. @tallulah13 Christianity is not about the Promise of heaven though that is good!. Christianity is about Christ. Ok since all the non believers obviously believe that this is garbage. Tell me what's good then? Go ahead and post here what you would glorify and why? Kind of defeats the whole purpose of "being a good person" as TV-Radio-Media would like us to portrays ourselves as. I salomly believe it takes more than donations and lending a hand to be a good person. Shoot, drug dealers most of the time claim to be helping their local community by "providing" financially. Yet if you don't mind referencing the movie "Amercian Gangster" starring Denzel, what's his excuse? "I took good care of the city <NY, NY) so the city is going to take care of me". Yeah he sure took care of a lot of peoples lives by ruining to murdering them. And it's not just a short term effect on them, im sure to this day thousands have suffered, kept "the movement" going because they open the doors for future drug dealers. Not to get off topic this far but that's just one example of many I can come up with. Please enlighten us for those who would disagree with. Well, I can only speak for myself, but I think that being good is doing no harm to others, being responsible for your own actions and being truly contrite and willing to apologize and make amends to the injured party if you harm another. All of this without expectation of rewards for your actions. My question to you: How many christians do you think there would be without the promise of heaven?